The CNN doctor comes out in favor of legalizing marijuana. 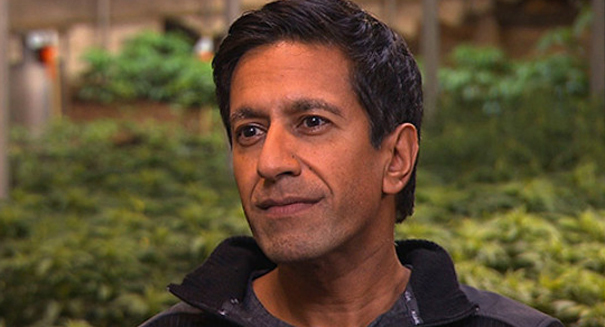 Eight months ago Sanjay Gupta apologized for misleading the public on weed, declaring he’d been wrong about medical marijuana. He says he has come to see that for some sick people cannabis is the only thing that works. The practicing neurosurgeon and CNN’s chief medical correspondent wrote in an op-ed for CNN Wednesday that since the cable news giant’s “Weed” documentary aired last August, he has continued to travel the world, meeting with hundreds of patients and scientists, and he’s even more supportive of medical marijuana than he was before. The NFL is following the science that suggests marijuana may help recovery from concussions. Next week, CNN will premiere Gupta’s second installment of their “Weed” documentary, called “Cannabis Madness” where Gupta will unpack these ideas from his op-ed further and take a closer look at the politics behind legal weed.